Description (ebay): We cannot honor custom requests unless you own the rights to the image. Size information is located in the item specifics above. We cannot honor custom requests unless you own the rights to the image. Size information is located in the item specifics above. - ADVANCED GRAPHICS: We Put Our Customers First And Will Continue To Provide The Best Customer Service To Those Who Keep Us In Business. - HUGE SELECTION: Perfect For Children's Birthday Parties, Special Events, School, Corporate Events, Awards Programs, Fairs, Festivals, Galas, Fundraisers And Green/Eco Events. 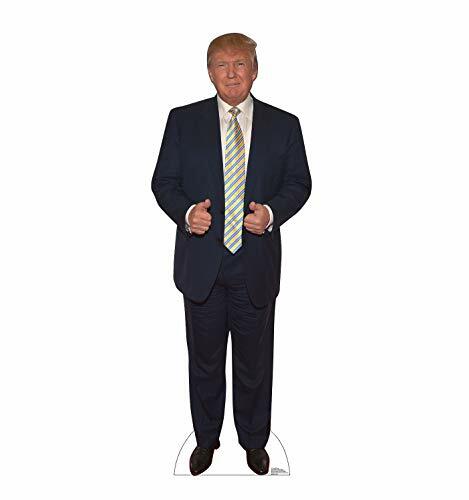 - WOW: Make Any Special Event Or Party Spectacular With The Coolest Cut outs. Wow Your Loved Ones With A Unique Gift That They Will Remember For Years! Display As A Prop At Trade Shows, Performances, Plays, Holidays And More. - MADE IN AMERICA: Proudly Manufactured In The U.S.A. HIGH QUALITY: Advanced Graphics' Produces The Highest Quality Cardboard Standups And Custom Prints In The World.